KARACHI:�When all is said and done, the heart of the energy crisis lies not in the fuel mix or power generation, but in transmission and distribution, which is where the system starts to positively haemorrhage money. And the reason for the bleeding can be stated in one word: theft. In our analysis of data provided by the National Electric Power Regulatory Authority, we have found that the weighted average cost of electricity jumps from Rs7.97 per kilowatt-hour at the generation stage to Rs11.95 per unit at the distribution stage, a differential of almost exactly 50%. Some of that rise is due to the cost of running massive and complicated transmission and distribution grid. But more than half of that cost is due to the �allowed cost� of power theft. The actual cost of theft somewhat exceeds that number. And yes, the government is actually resigned to the fact that there are a very large number of people in Pakistan who steal electricity, but rather than going after them, or at the very least creating the incentives for good behaviour, it simply charges the people who do pay their bills a little extra. In Pakistan, the rule seems to be that those who follow the rules must suffer for the sins of those who do not. It is not as though there is no model for how to combat electricity theft in Pakistan. The Karachi Electric Supply Company is an ongoing example of how to incentivise paying bills. At the start of the decade, transmission and distribution losses at KESC used to run close to 40%. That number has now been cut down to just over 28%, largely by separating areas with high electricity theft from those with low power theft and then targeting the high-theft areas with the worst loadshedding, while sparing the low-theft areas of any power cuts altogether. This method has resulted in close 50% of the area of Karachi being supplied uninterrupted power. 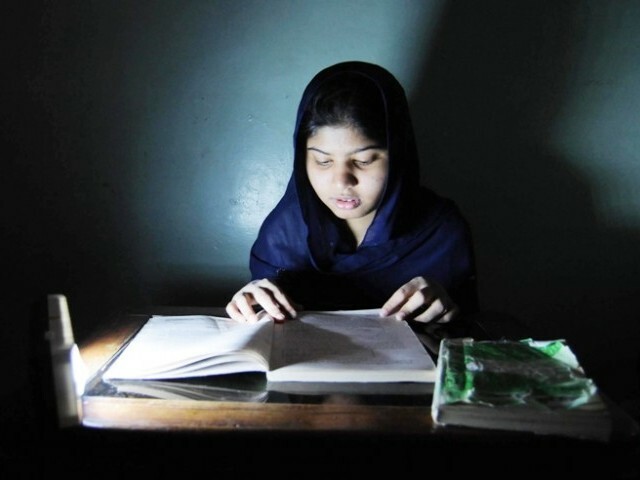 One of the biggest problems with the government�s energy policy is that the nine state-owned power distribution companies (known in the industry as Discos) are prohibited from practising this kind of discrimination, reinforcing the notion that good behaviour is pointless in much of Pakistan. This is somewhat ironic, considering the fact that the government originally created these Discos to help make the system more efficient and particularly help enable price discrimination. The problem, however, is far from uniform. Islamabad and northern Punjab, served by the Islamabad Electric Supply Company (Iesco), had transmission and distribution (T&D) losses of just over 9.5% in 2012, and most of that problem is not due to theft but simply the physics of transmitting electricity across long distances. By comparison, the northern part of Sindh, served by the Sukkur Electric Power Company (Sepco) had T&D losses of close to 40% during that year. And there are still more parts of the country where the theft rates are slightly lower, but only because people still keep receiving electricity even if they do not pay their bills. A prime example of this phenomenon are the tribal areas, where the T&D losses were around 29% in 2012, which on the surface appears to be lower even than the rest of Khyber-Pakhtunkhwa�s figure of 36%, until one realises that only about 6% of people in Fata paid their bills that year. If, as the incoming Nawaz administration proposes, these Discos are privatised, or at least run more similar to KESC, the problem is likely to be isolated to only the worst areas, incentivising people to either move away from those areas, or else report their neighbours involved in stealing. Meanwhile, much of northern and central Punjab, particularly its urban areas, can achieve what the citizens of some parts of Karachi feel blessed for: uninterrupted electricity.